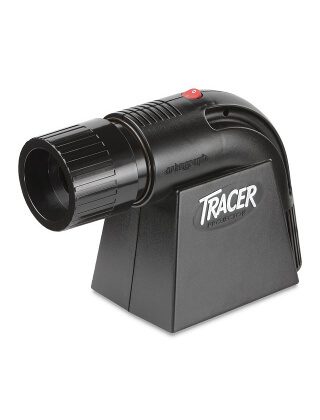 The Artograph Tracer Projector 225-360 is a versatile art projector for the beginning artist or crafter, and Artograph's bestseller. The Tracer enlarges any design or pattern onto a wall or easel from 2 to 14 times the original size. Projected image can be easily traced and colored as desired. No set-up necessary and simple to operate. 23-Watt spiral fluorescent lamp included. Dark room required for optimal performance. Artograph products are warranted to be free from defects in material and workmanship for a period of one year from the date of sale to the original purchaser. The warranty does not apply to lamps (lightbulbs) as they are considered consumables and are the responsibility of the owner to replace.